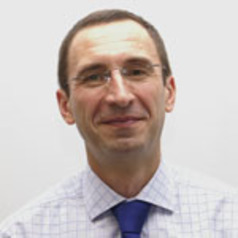 Professor Savic (FREng, FICE, FCIWEM, FIWA, MASCE, CEng) is the UK’s first Professor of Hydroinformatics having held this post at the University of Exeter since 2001. His research interests cover the interdisciplinary field of Hydroinformatics, which transcends traditional boundaries of water/ environmental science and engineering, informatics/ computer science (including Artificial Intelligence, data mining and optimisation techniques) and environmental engineering. Applications are generally in the environmental engineering/science areas, including water resources management (both quality and quantity), flood management, water & wastewater systems and environmental protection & management. integrated asset management methodologies for water industry applications. Professor Savic has lectured extensively throughout UK and abroad where he has given research presentations at many institutions on all continents. He is currently a Visiting Professor at the Universities of Bari (Italy) and Belgrade (Serbia), UNESCO-IHE (Delft, The Netherlands) and Harbin Institute of Technology (Harbin, China). Professor Savic is a founder and co-director of the Centre for Water Systems, an internationally recognised group for excellence in water and environmental science research. He is a Chartered Civil and Water Engineer with over thirty years experience in research, teaching and consulting. He is elected Fellow of the Royal Academy of Engineering, Member of the European Academy of Sciences, Fellow of the Institution of Civil Engineers (ICE), Fellow of the Chartered Institution of Water and Environmental Management (CIWEM) and Fellow of the International Water Association (IWA). Professor Savic served as a Head of Engineering Department in the College of Engineering, Mathematics and Physical Sciences from 2010 until 2014.